Wakiso Giants were held to a fourth draw of the season in the FUFA Big League, on Thursday. 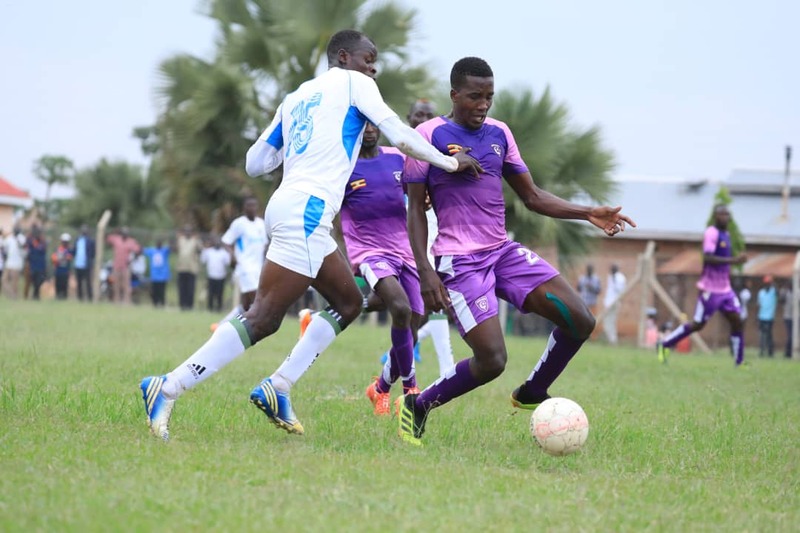 The Money Bags who are still unbeaten in the League after 7 games, played out a goalless draw with Light SS at the Amuria High School Play-ground. The two sides who started the day 1st (Wakiso) and 2nd (Light SS) on the log maintain their positions in the standings in the Elgon Group. Wakiso now move onto 13 points while Light SS have now accumulated 12 (points) So far. In the other Elgon Group games played on Thursday afternoon, UPDF FC defeated Kyetume 2-1 in Bombo, Entebbe registered their first victory of the season, gunning down Kataka 2-0 at Wankulukuku while Nebbi Central’s home clash with Bukedea Town Council was postponed. In the Rwenzori Group, Proline registered their 6th victory of the season thanks to a 3-0 win over Bumate at the Christ High School Play-Grounds. Anorld Sserunjogi put the visitors in the lead on 12 minutes with a ferocious strike from just outside the Bumate area. On 20 minutes, Mustapha Mujuzi doubled Shafick Bisaso side’s lead with a free-kick after Bright Anukani was fouled around the area. With 13 minutes of the first half to play, Hakim Kiwanuka put the result beyond doubt with a third for Proline and despite the visitors creating more chances, they could not add onto their tally and finally managed to see out the 3-0 result which takes them onto 19 points from 7 games. For Bumate, they remain second from bottom having gathered only 3 points from their first 7 games. Elsewhere in the Rwenzori Group, second placed Kiboga Young walloped Kireka United 4-0 at the Bamusuta Grounds. At the Bishop Grounds in Mukono, Kansai Plascon and Ntinda United played out to a 1-1 draw.